Peace @ C - Kini Bay Accommodation. This accommodation will provide a comfortable stay whether for holiday, business, tournaments or week-end break-aways, etc. Ground floor level of private dwelling. Open plan lounge with DStv and fully equipped kitchen. 2 Bedrooms with a double bed in each. Full bathroom with bath and shower. Large braai area with sea view. Undercover parking. Bedding and bath towels included (bring own beach towels). 18km South-west of Port Elizabeth, between Sardinia bay and Seaview. 4 Minutes walk to the beach (safe, small swimming area). 3km From Spar Foodmarket, Laundrette, Pharmacy, Dizzy Dolphin Pub & Grill. 15 Minutes drive to Walmer Park (shops, restaurants, cinemas, etc). 20 Minutes drive from airport. 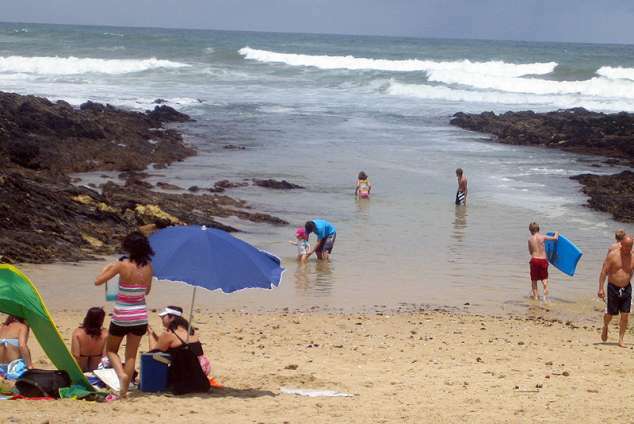 25 Minutes drive to P.E's main beaches, Summerstrand, Boardwalk (including casino). 15 Minutes drive to Kraggakamma Game Park. Day trips to Addo Elephant Park, Shamwari Game Park, Jeffreys Bay, Tsitsikamma Nature Reserve and many more. Vir ons AFRIKAANSE GASTE - As u wil he dat ons in Afrikaans moet antwoord, tik net "Afrikaans" op die "E-Mail Us" vorm langsaan, in die "Further Information" blokkie. 63042 page views since 13 Dec, 2004. Last updated on 10 Mar, 2019.